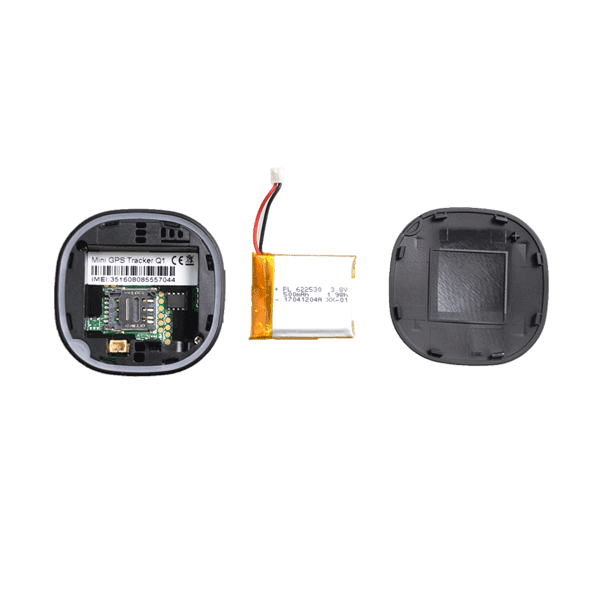 The tiniest GPS tracker with realtime reporting and audio monitoring. Realtime location and audio in a small package. Tracking a vehicle? Check out the Mobile-200 tracker! Send a text message to your tracker. It replies back with a map link to it’s location. 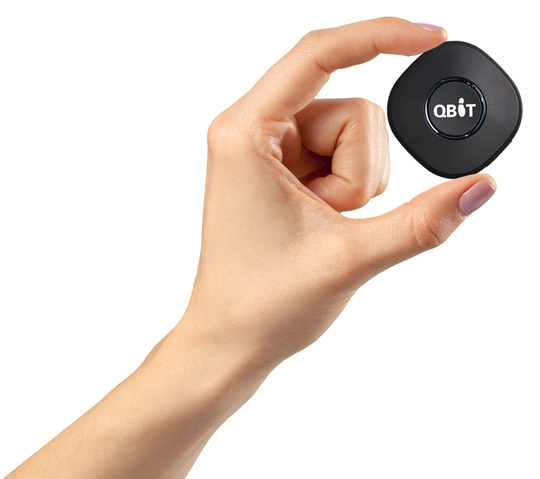 I bought a Qbit to keep an eye on my daughter after school. It's perfect. 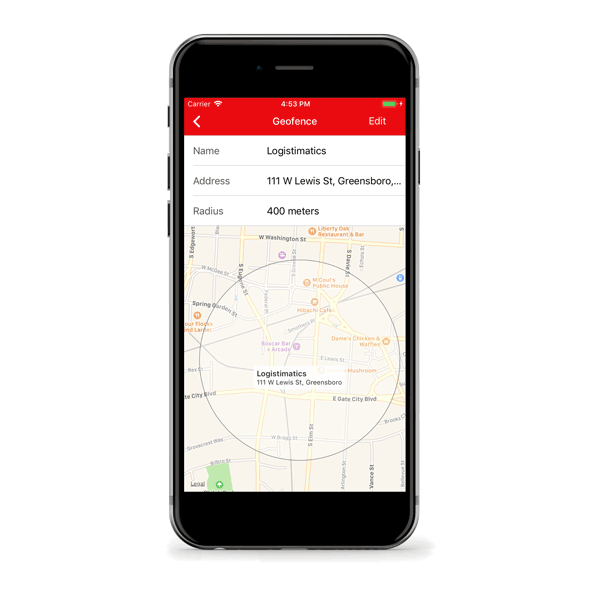 Get live audio from your tracker to your phone. Make two way calls or listen in silently. This is the smallest GPS tracker I could find. The listening functions blew my mind. 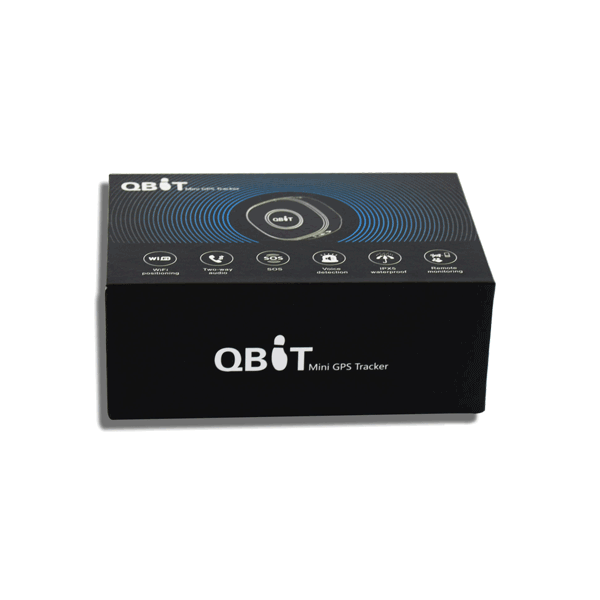 Review all the places your Qbit tracker has been. 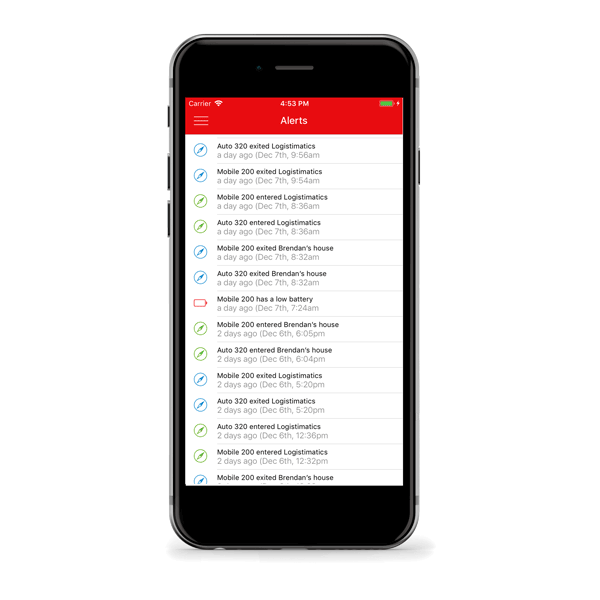 Get alerts when it enters or exits a location with our web app. Up to 3 days of battery life between charges. Voice capabilities allow for active listening or two-way phone calls. 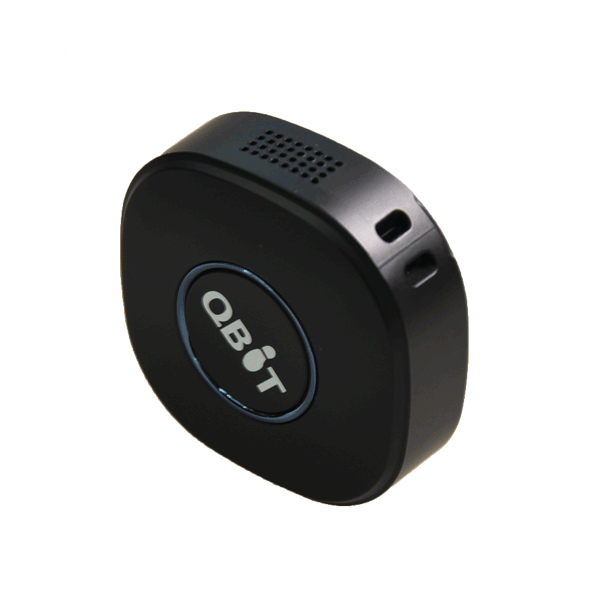 Our Qbit GPS tracker has an extremely small form factor. It is useful for tracking people and is easily concealed. To track the Qbit’s location, you can use the iOS or Android app to see where it is right now and everywhere it has been. 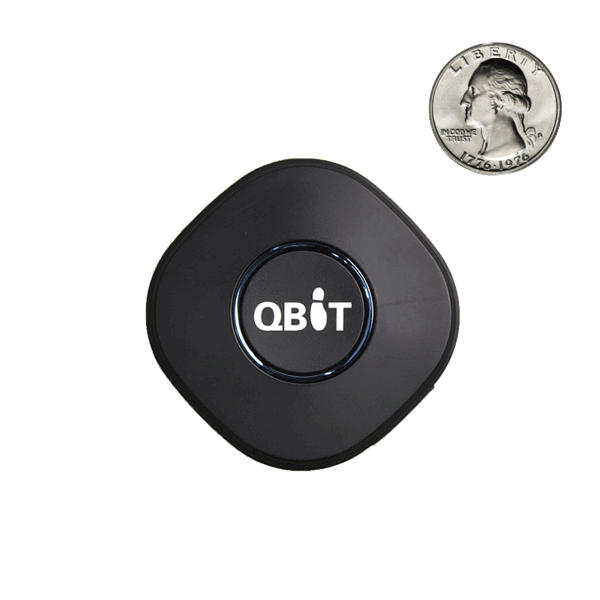 The Qbit can be tracked with any cell phone or web browser. You can also listen to live audio at the tracker’s location. This allows you to hear what’s happening. Live audio can be used in stealth (listen-only) mode or in two-way talk mode. 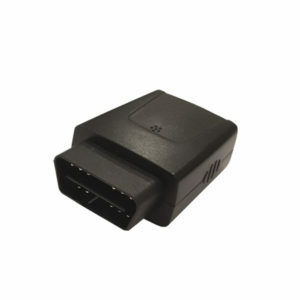 You can activate your tracker when you receive it and have the option to purchase GPS tracking service. Is your goal vehicle tracking? 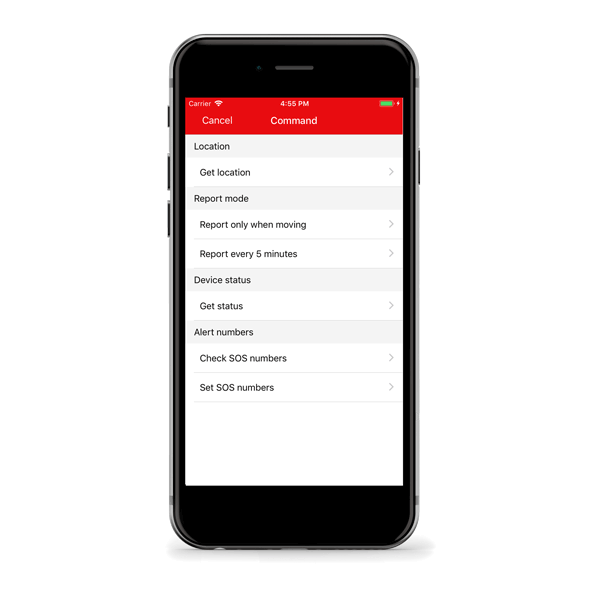 We recommend the Mobile-200 tracker instead of Qbit (the Mobile-200 gives you 2-3 weeks of battery life, live audio and 30 second location updates). Please note the live audio feature only works in the US. Tracking your device is easy. 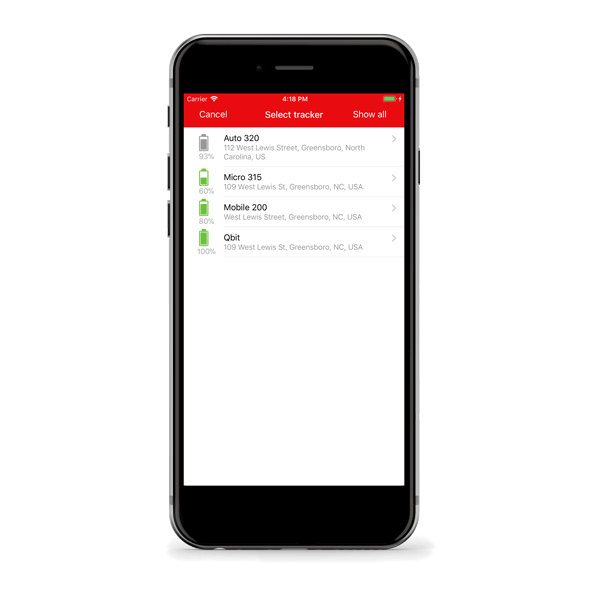 You can track your device by downloading our smartphone app from the App Store or Google Play Store. The battery lasts around 3 days or less. 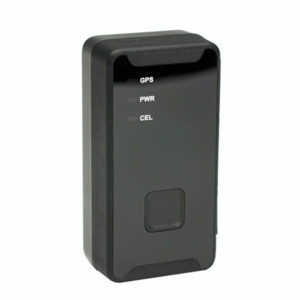 If you need a longer battery life, you should consider the Mobile-200 GPS tracker which lasts up to 3 weeks. 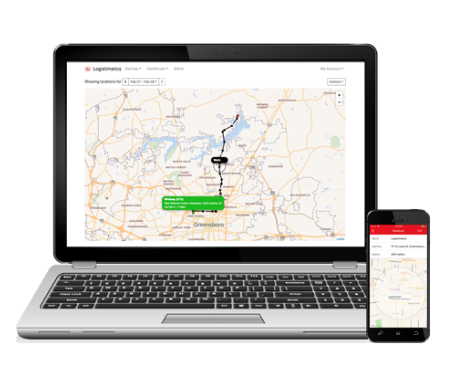 Is this a good tracker for vehicle tracking? Not really. 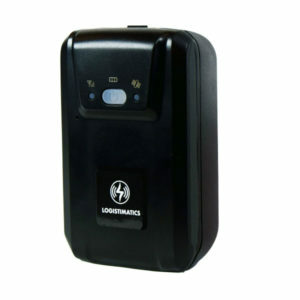 The Mobile-200 is a better vehicle tracker. It also has live audio and a muchlarger battery. How do I get tracking service? 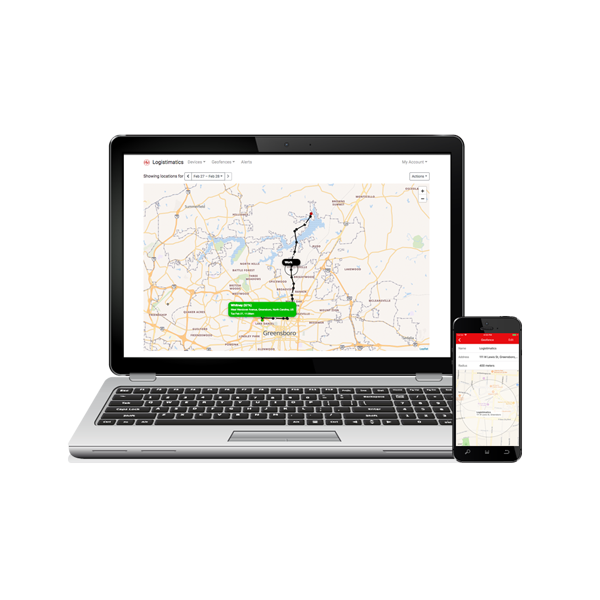 You have the option to purchase tracking service when you receive your tracker. A solute best gadget ever created!!! My mom is travelling in Mexico for missionary work, and I was worried about the kidnappings you hear about. She took this tracker with her and it’s so cool to see be able to see the places she’s visiting. It’s a piece of mind thing. I will def recommend this to people. I spent a good time researching trackers, especially small to conceal. I want to use it when loved ones travel to Mexico. Kidnappings are a serious problem in the area we visit. In the states I found it to work accurately. In Mexico, it has worked as well so far. I can even confirm where they are as I talk to them, even in rural areas. It gives peace of mind. I believe it works on the 2G network and I read the US is phasing it out but it worked in the midwest. I also learned that Mexico has a strong 2G network and I imagine any country south of the border should. The two way audio doesn’t work out of the country, I am not sure of the SOS but I have it enabled. The phone app is easy but takes some time to learn it and the commands are not as intuitive, I don’t know if a command at a time works or I can enable different features at once. The tracking is the most important feature so I can say that it works great. I am considering buying more with the coupon I received from them. Thank you. The small, lightweight design is a definite plus. Easy to put into a pocket. The listening application is great. This definitely needs to make a repeated sound so you could find the device in the house or find a child nearby for example if they are hiding. The response time between giving the device a command and the device responding is pretty slow compared to other devices I’ve tried. Also, the app could be more user friendly. You should also redesign the holes at the top so the device could be sewed in or safety pinned to clothing. Amazing quality. GPS locator is spot on and audio is overall good so long as you place it nearby and with good signal! My daughter is special needs and we are currently going through a custody issue. This has given me the peace of mind I needed! I can listen in when she’s on the bus or at her after school care and I feel much better about her day. She learned that during an emergency situation she can “call” me as well so that is another awesome feature! I shared this unit with many other mothers as well. Thank you! I use this when my husband picks up the kids for the weekend. I needed something small for keeping an eye on things when they are away. I couldn’t figure out how to download the iPhone app. Called customer service and they were very helpful. It’s a nice tracker. I also bought the Mobile-200, which I use more often. I like this little tracker. I have ended up using the listening mode more than i thought. I wish the battery was lasted a little longer. Great tracker. Works just like a cell phone. I needed a really small one and this is the smallest I found. I had some guys who I was pretty sure were stealing tools. I hid the qbit inside the plastic case from my Hilti hammer drill and waited a couple days. Sure enough I tracked it to their house. I knew who it was but couldn’t prove it. Worked great. Easy to use. Worked great for my dad who has early onset alzheimer’s. I ordered a Qbit to catch a cheater. I listened to him as he was driving around. Works great. It’s a good tracker. Small enough to fit in my purse. I have pressed the call button once and was extremely handy. I had some problems getting going but the support was good. I got a live person on the first call, so that counts for something. Works great as long as you keep it charged. I gave one of these to each of my daughters for their backpacks. They work great. Only problem I have seen is areas where cell coverage is iffy…but that’s the same as a cell phone. Very handy tracker. I used it to catch a thief. Easy to use. It works great in Cleveland area as well as when I travel.